As recently as 1950 Grimsby had the largest fishing fleet in the world. Cod wars and economic change put paid to the rich, dangerous trade, and now Grimsby docks handle cars instead of fish. Grimsby’s most distinctive architecture is firmly associated with the docks. The Custom House (1874) and the Dock Offices (Mills & Murgatroyd, 1885) remain in use, but the Victoria Flour Mills (Sir W A Gelder, 1889/1906), which was partly converted to apartments in the 1990s, is threatened by structural problems with its unconverted silo tower: http://www.victoriansociety.org.uk/news/grimsby-mill-tower-on-endangered-buildings-list. The Grimsby Ice Company’s Ice House (1901), which could produce 1,250 tons of ice every 24 hours for direct loading into the trawlers, ceased production in 1990. Though it still contains historic refrigeration equipment of world importance, it is no longer watertight and regularly appears on at-risk registers: http://www.victoriansociety.org.uk/news/the-grimsby-ice-factory-gorton-street-the-docks-grimsby. Most dramatic of all is the Dock Tower (James W Wild, 1851-2), its extreme height, 309ft, determined by the need to provide a head of hydraulic pressure, using a 30,000-gallon water-tank, by gravity alone. The hydraulic machinery by Sir William Armstrong was the first to be applied to working dock gates: both sets of gates could be opened within 2½ minutes by two men. Grimsby’s workaday architecture is too good to lose: http://www.victoriansociety.org.uk/news/council-inaction-worse-for-grimsbys-image-than-cha-baron-cohen-film. Update: A recent article in the Grimsby Telegraph, June 8th 2017, illustrates the extent of the decay, and the beginning of the restoration, of the Victoria Mills: http://www.grimsbytelegraph.co.uk/news/grimsby-news/unveiling-marks-start-another-100-100989. 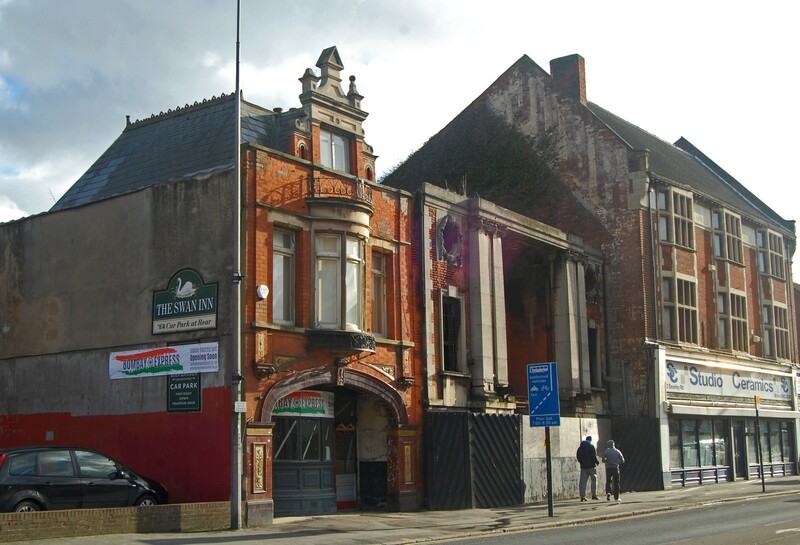 Further update: The designation of conservation area status for the dockland area known as the Kasbah is a welcome indication that Grimsby’s industrial heritage is receiving attention: https://www.nelincs.gov.uk/securing-kasbahs-future. Another update: The Grimsby Telegraph‘s ‘Stop the Rot’ campaign itemises the extent of the rich heritage at risk in Grimsby and Cleethorpes: https://www.grimsbytelegraph.co.uk/news/grimsby-news/stop-rot-33-pieces-history-1718435. This entry was posted in Humber Heritage, Victorian Architecture on March 14, 2017 by Mike Higginbottom. When I took my Humber Heritage (September 5th-9th 2016) group to the Wilderspin National School at Barton-on-Humber we were among the first to see the current restoration of the Primitive Methodist Chapel next door to the school. The Primitive Methodists were a break-away group that followed a simpler, more frugal style of worship than the Wesleyans. They have a reputation for plain, unostentatious buildings but the Barton-on-Humber example is relatively grand. It was built, with its associated Sunday School, in eight months flat in 1867 in polychrome brick to the Romanesque designs of Joseph Wright (1818-1885). Joseph Wright was a prolific architect of Primitive Methodist chapels and a pupil of Cuthbert Brodrick, the Hull-born architect of Leeds Town Hall and the Grand Hotel, Scarborough. At the time Barton belonged within the Hull circuit of its denomination. The existing house next door, No 2 Queen Street, was adapted for the chapel caretaker after it had been shortened to make way for the new chapel by removing the left-hand bay. For their outlay of £1,500 the Barton Primitive Methodists got an imposing building with an impressive galleried interior, seating six hundred. 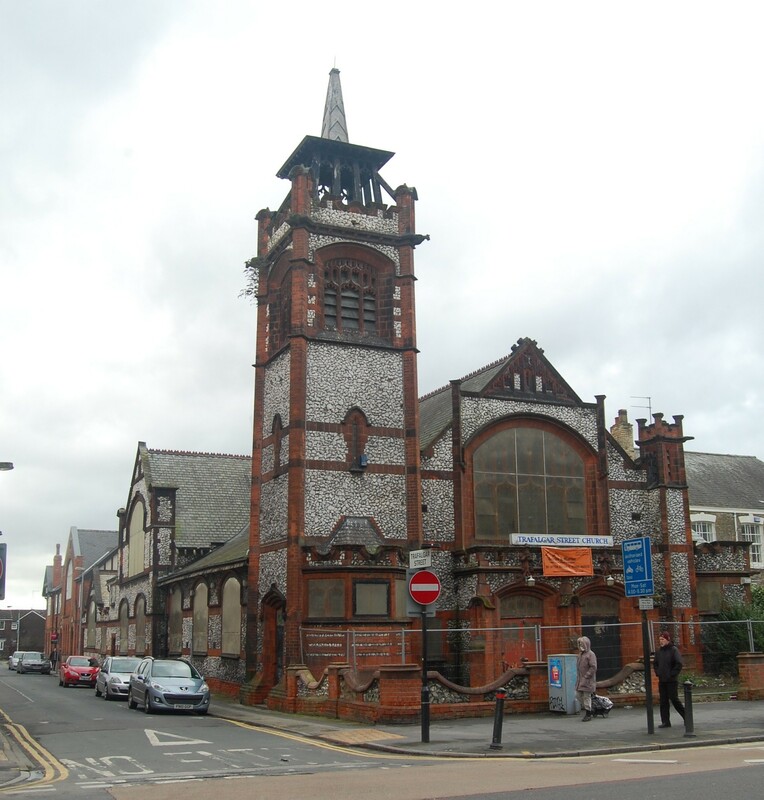 It was arguably as impressive as the Wesleyans’ Trinity Methodist Chapel of 1861 on Chapel Lane: it dominates the National School next door and holds up alongside the surrounding public buildings on Queen Street, the Temperance Hall (1843) opposite, the Oddfellows’ Hall (1864) on the corner and the Police Station (1847) round the corner on High Street. Twenty-two years after the opening, the congregation ordered an elaborate organ by the Hull manufacturer Forster & Andrews. This was sold in the early 1960s to St Andrew’s Parish Church, Immingham; it moved on in 1996 to All Saints’ parish church, Pickwell, Leicestershire. Most of the disparate branches of Methodism united in 1932, and the Barton-on-Humber congregations joined together in the Trinity Methodist building in 1960. The Primitive Methodist chapel closed after Easter Day 1961, and it was sold to the Salvation Army, which reopened it on May 22nd 1965. They inserted a floor at gallery level and removed the ground-floor pews. Most of the gallery pews, the fine plaster ceiling and the round arch that framed the organ case remained. Latterly the Queen Street School Preservation Trust, owners of the Wilderspin National School, has taken over the chapel building as an extension of their premises. This entry was posted in Humber Heritage, Sacred Places, Victorian Architecture on October 5, 2016 by Mike Higginbottom. My Humber Heritage (September 5th-9th 2016) tour has had to relocate from the Beverley Arms Hotel, which has ceased trading, to the Mercure Hull Royal Hotel, which has the advantage of being literally across the platform from the trains: http://www.mikehigginbottominterestingtimes.co.uk/?page_id=4223. This splendid traditional station hotel was completed in 1849, designed by George Townsend Andrews (1804-1855), house architect for the York & North Midland Railway, as part of the second terminal station into the centre of Hull, replacing an earlier station adjacent to the Humber Dock which then became a goods depot: https://en.wikipedia.org/wiki/Manor_House_Street_railway_station#/media/File:Railway_Street_Goods_shed_1905.jpg. Andrews was also responsible for the original York railway station (1841) and other surviving stations including Whitby, Pickering and Beverley. The new station was named Hull Paragon because it stood on Paragon Street, which was itself apparently named after a long-vanished pub. Hull people thought it grossly over-ambitious and called it “Hudson’s Folly”: the “Railway King” George Hudson was indeed guilty of more than folly, but his station and hotel remain in use, and both have been repeatedly extended. Andrews’ career as a railway architect seems to have been eclipsed when George Hudson was disgraced for his unscrupulous financial dealings, and the Hull hotel was his final major commission. At the time it opened it was the largest station hotel in the country, and Andrews’ largest building. It became the Royal Station Hotel after Queen Victoria’s visit in October 1854, for which a throne room was contrived at the south-east corner of the first floor, along with a bedroom, drawing room and boudoir, and a bedroom and drawing room for the royal children. The royal household lodged on the second floor. The following morning she greeted an assembly of Sunday School pupils from the balcony, and then processed through the Old Town to the Corporation Pier, which was renamed the Victoria Pier, and boarded a launch to inspect the docks. Additional wings to the hotel were designed by the North Eastern Railway’s company architect, the York-born William Bell (1844-1919) and constructed in 1903-5. Both the station and the hotel were damaged in air raids in both the First and Second World Wars. The Hull poet Philip Larkin, whose statue by Martin Jennings is on the concourse, found it a gloomy place in 1966 [http://www.poetryconnection.net/poets/Philip_Larkin/4774] though he was apparently a regular customer. The interior of the present-day hotel is mostly a tasteful pastiche by the Fisher Hollingsworth Partnership, following a fire which gutted the building in 1990: http://www.hulldailymail.co.uk/remembering-drama-hull-royal-station-hotel-25/story-27933477-detail/story.html. The hotel reopened in 1992 and has traded happily ever after. This entry was posted in Humber Heritage, Transports of Delight, Victorian Architecture on July 7, 2016 by Mike Higginbottom. St Patrick’s Parish Church in the distant Holderness parish of Patrington is one of the most perfect of English medieval churches. The “Queen of Holderness” was ranked by Sir John Betjeman as “one of the great buildings of England”. Sir Nikolaus Pevsner comments that it has “a unity of exterior and a unity of interior, a calm perfection in both which one never ceases to admire”. 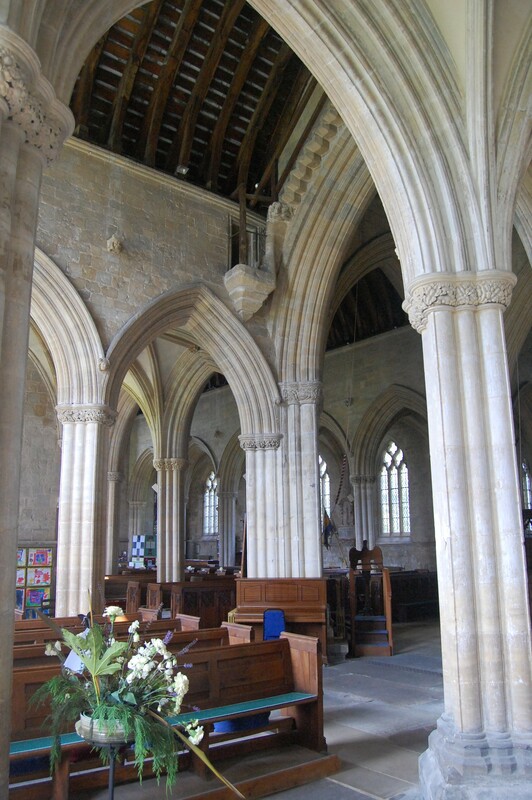 Built in a single sequence from about 1300, interrupted by the hiatus of the Black Death, and hardly altered since its completion in the following century, the church is an inspiring keynote in the flat East Riding landscape. The scale of the building comes as a surprise to the modern traveller, even after passing the other great Humberside churches at Howden, Beverley, Hull and Hedon. One explanation for its magnificence lies in the changing geography of the adjacent coastline: in the fourteenth century Patrington was the market centre for the hinterland of the lost port of Ravenser and such other townships, long since eaten away by the sea, as Frismarck and Therlesthorp. In addition, the manor belonged to the Archbishops of York, several of whom are known to have visited and transacted business from Patrington. These same archbishops were engaged in the great rebuilding of York Minster which was finally completed in 1474. Robert of Patrington was master mason at York Minster in 1369; two other named members of the family, Ralph and another Robert, worked in York in succeeding generations. Within the church are many treasures – the twelve-sided fourteenth-century font, the fine sedilia, piscina and Easter sepulchre in the chancel, and the Jacobean pulpit, dated 1612, part of the major post-Restoration pewing of the church, of which some benches survive in the South Transept. The upper chamber of the two-storey south porch provides a dramatic view across the church, from which all the entrances to the nave are visible to the sacristan who was responsible for the treasures and documentary records of the church. This chamber, known in the seventeenth century as the God-house, was used in that period as the twice-yearly meeting-place for the head jury of the manor. There’s no more magnificent building in the wide open spaces of Holderness. This entry was posted in Humber Heritage, Sacred Places on October 31, 2015 by Mike Higginbottom. 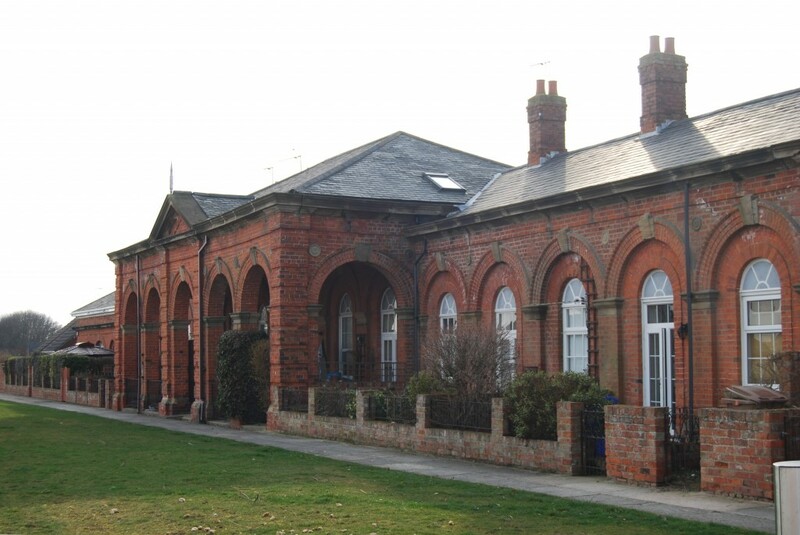 It’s appropriate that one of the best preserved Victorian buildings in Hornsea is the former railway station of 1854 designed by Rawlins Gould of York, a former assistant to the North Eastern Railway’s architect, the better-known George Townsend Andrews. Hornsea grew as a seaside resort entirely because of the construction of the Hull & Hornsea Railway, promoted by a Hull timber-merchant, Joseph Armytage Wade (1819-1896) and constructed between 1862 and 1864. It was at Wade’s insistence that the line was extended from the planned terminus at Hornsea Mere as far as the sea front, increasing the cost of the whole project from £68,000 to £122,000. Like the comparable line from Hull to Withernsea, this line stood no real chance of success as an independent branch railway, and was taken over by the North Eastern Railway in 1866. Commuter traffic was significant: times were adjusted to benefit businessmen working in Hull, and services gradually increased to the end of the nineteenth century, from seven weekday return trips and one on Sunday in 1870 to nine on weekdays and three on Sunday by 1890. Day trippers filled the resort, particularly at bank holidays: on Whit Monday 1890, two thousand excursion passengers were recorded. Visitor censuses consistently indicated that the majority of visitors were from Hull and most of the rest from the West Riding. The railway closed in 1964, exactly a hundred years after it opened, and the station, after a period of neglect, was redeveloped as housing in 1987. This entry was posted in Humber Heritage, Transports of Delight, Victorian Architecture on October 14, 2015 by Mike Higginbottom. There’s no such place as Humberside. The name was a confection arising out of the 1974 reorganisation of local government. The non-metropolitan county disappeared in a further reorganisation in 1996, though the name remains in use by the police and fire-and-rescue authorities, a BBC radio station and an airport in North Lincolnshire. If Humberside had any reality, its expression would be the beautiful suspension bridge that connects East Yorkshire with North Lincolnshire between Hessle and Barton-on-Humber. 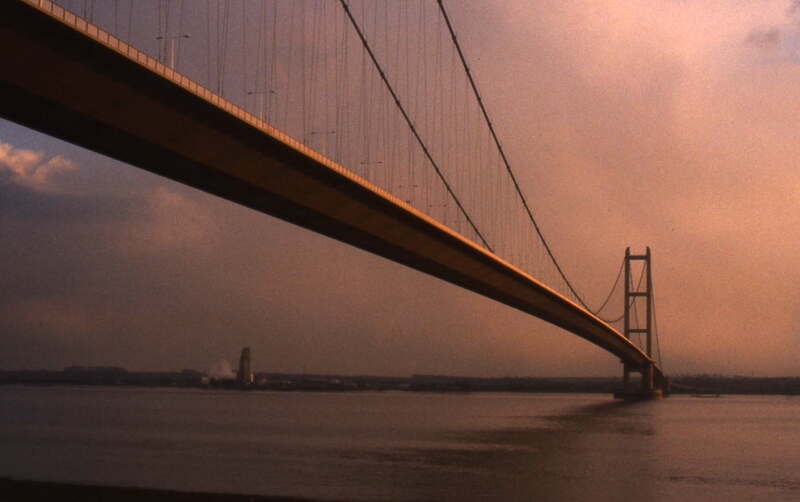 The Humber Bridge [http://www.humberbridge.co.uk] is the epitome of elegant engineering, designed by Freeman, Fox & Partners with R E Slater as architectural adviser. Its design is based on the first Severn Bridge (Freeman, Fox & Partners, 1966) – itself a revolutionary advance on its predecessors, such as the Forth Road Bridge of 1964. Long awaited, it was authorised in 1959 by an Act of Parliament that established a Humber Bridge Board with the power to build it but no power to raise finance. Even after Harold Wilson notoriously pressured his transport minister, Barbara Castle, to give a go-ahead to influence the Hull North by-election in 1966, construction work only began in 1972, and the bridge opened to traffic in 1980. Until then, road journeys between Grimsby and Cleethorpes and the city of Hull required a hundred-mile detour via Goole or crossing on the New Holland ferry. The main span is 1,410 metres, and the total length is 2,220 metres. The towers, reaching 160 metres above high water, are both vertical but not parallel to each other: they splay outwards because of the curvature of the earth so that their tops are 36mm (1.4 inches) further apart than the bases. They also bend inwards in storm conditions, so that in an 80mph wind the deck can move more than three metres at the centre of the main span. The Humber Bridge was, until 1998, the longest suspension bridge in the world when it was superseded by the Akashi Kaikyo Bridge in Japan (1,991 metres, 6,532 feet). In 2014 it remains the seventh longest in the world and the longest in Britain. Later proposals to incorporate it into the route of an East Coast Motorway, effectively an extension of the M11, appear to date from a conference called by the then Humberside County Council in July 1988: http://motorwayarchive.ihtservices.co.uk/en/motorways/regions/eastern-england/the-east-coast-motorway-feasibility-study. It has never come anywhere near to repaying its costs, so the Humber Bridge remains a toll crossing. You can walk across for free, and there are concessions for disabled drivers. Motorcyclists were subject to tolls, which provoked a particularly entertaining protest in 2004 when they turned up in force, each carefully removing helmet and gloves before offering high-denomination notes to the toll-keepers. The motorcycle toll was removed, in line with the Dartford and Severn crossings, in 2012. This entry was posted in Humber Heritage on May 5, 2014 by Mike Higginbottom. When I was an undergraduate at Hull University in the late 1960s, what passed for debauchery was a trip on the train to Nellie’s at Beverley. Once I’d ascertained that Nellie’s was in fact a pub – I was mindful of John Steinbeck’s Cannery Row (1945), which tells of men who went to the Bear Flag Restaurant for a sandwich – it became, and remains, a favourite. 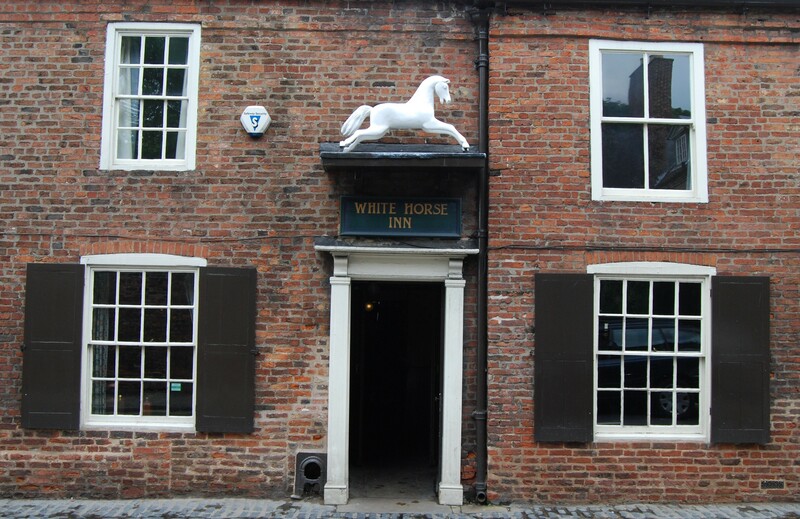 This famous and memorable hostelry has medieval timbering but has been radically altered in and since the eighteenth century. It belonged to St Mary’s Church (which stands at the opposite end of the street) probably from 1585, and had become an inn by 1666. It seems to have changed little since the tenancy was taken on by a sadler, Francis Collinson, in 1887. Mr Collinson bought the inn in 1927, and after his death it was run by his son, William, and after his death by three of William’s sisters, Nellie (after whom it is now popularly known), Ada and Dorothy, who maintained the ancient tradition of opening their private kitchen to drinkers during the evening, serving from a table beside the hand pumps and washing up with hot water from the coal-fired range. After the three sisters died in rapid succession during 1975-6 the White Horse was sold to Samuel Smiths of Tadcaster: under this new ownership the nineteenth-century fittings and gas lighting are lovingly preserved, but not the brick wall that served as the original gents’ lavatory. There is a grandiose unofficial website at http://www.nellies.co.uk/abt.htm. It has a link to the masterly site of Beverley’s chimney-sweep, http://jethro.biz, which is classic example of internet style and enterprise. Take a look, even if you don’t have a chimney, aren’t getting married and don’t live in Beverley. This entry was posted in Fun Palaces, Humber Heritage, Life-enhancing experiences, Victorian Architecture on January 24, 2014 by Mike Higginbottom.